Credit to Fox Business for finally admitting the role Xi Jinping played in leveraging North Korean leader Kim Jong-un to become more adversarial to the U.S.- North Korean denuclearization talks and summit in Singapore. Perhaps this is the first reality shift for Western media to discuss, with greater accuracy and honesty, the extent of influence held by China over the activity of North Korea. The DPRK is a proxy province of China. The first U.S. trade delegation visit to China happened May 2-5. Then there was an unexpected second trip by Chairman Kim to Beijing (May 8-9). Chinese Chairman Xi Jinping instructing Chairman Kim to change his approach publicly in order to provide China with leverage in the next U.S./China trade summit which took place shortly thereafter on May 15-18. China is leveraging North Korea for a better trade outcome. As noted by President Donald Trump during his Oval Office remarks with NATO Secretary General Jens Stoltenberg, the specifically scheming and cunning influence by Chairman Xi, what we customarily call ‘Red-Dragon-China‘, was -and is- accepted by President Trump as evidence of Beijing’s manipulative intent. This entry was posted in China, Communist, media bias, N Korea, President Trump, Secretary Pompeo, Uncategorized. Bookmark the permalink. i Wonder when the deal will be made probably around the same time the NAFTA deal will be finished. Our President will ultimately determine when this deal with both North Korea 🇰🇵 and China 🇨🇳 gets wrapped up! China can wish and pray for us to remove our military presence in South Korea 🇰🇷. I honestly see that happening regardless of their desire. What will NOT happen is our military presence in Japan 🇯🇵 being reduced. We currently have 50K troops stationed there in 23 different US Military Bases (3 Air Force Bases, 3 Army Bases, 13 Marine Bases and 4 Naval Bases). Mission: The U.S. 7th Fleet (C7F) operates in the largest of the U.S. Navy’s numbered fleets. At any given time there are 70-80 ships and submarines, 140 aircraft and approximately 40,000 Sailors and Marines in region. C7F has maintained a continuous forward presence in the Indo-Asia Pacific since being founded in Australia in 1943, providing security and stability to the region, upholding key alliances and building upon maritime partnerships. C7F uses both forward-deployed ships from Japan, Singapore, Guam and other locations as well as rotationally-deployed ships from the West Coast to execute military operations across the spectrum, from major combat operations to humanitarian assistance and disaster relief. C7F forces operate in the region every day of the year and work closely to build partnerships with our allies, partners and friends while allowing for rapid response to any crisis, natural or man-made. AO: Covers 48 million square miles of the Pacific and Indian Oceans, from the International Date Line to the India/Pakistan border and from the Kuril Islands in the north to the Antarctic in the south. The region Includes 36 maritime countries, more than 50 percent of the world’s population, 3,000 languages and seven of the world’s 10 largest militaries. The U.S. maintains mutual defense treaties with five allies in the region to include the Philippines, Australia, the Republic of Korea, Japan and Thailand. Look what else just happened in Japan 🇯🇵 thanks to PM Abe and our Lion 🦁! THIS IS CHINA’s 🇨🇳 WORSE NIGHTMARE! Japanese Self-Defense Forces, Japan’s unified military command, activated its first marine component since World War II and conducted a training exercise on Friday. Dubbed the Amphibious Rapid Deployment Brigade, or ARDB, the newly formed group displayed their ability to repel and recapture islands from other occupying forces. The subject of an autonomous, combatant military command is a sensitive subject, given that following World War II, the nation renounced its right to wage war and disbanded its army. In the post-war era, Japanese forces have typically been reserved to natural disaster relief and peacekeeping missions. However, China’s “unilateral escalation” in the East China Sea and North Korea’s provocations have spurred many Japanese officials to reinterpret the country’s pacifist history and address the emerging threats in recent years. Sorry 😐 Steve Forbes but your talking points are weak! PDJT is playing both the short and long game! “to reinterpret the country’s pacifist history”. The Japanese took on a pacifist posture after WWII. Their history for centuries prior to that could be better described as militaristic. The Chinese and Koreans are fully aware of this so buyer beware before pushing for the re-arming of Japan. It is already happening! Our President is completely onboard with it. We are selling billions upon billions of dollars of military equipment to them. Japan’s ruling party has called for the nation to develop its own aircraft carriers and purchase American F-35B fighter jets, Defense News recently reported. The country is aiming to respond to what it describes as aggressive actions from China. The Liberal Democratic Party’s defense panel proposed the plan on Tuesday as a way to beef up defense of outlying islands, including those also claimed by Beijing. While the government of Japan might consider it a necessary defense, China could view it as a worrisome further step away from a postwar stance of pacifism. However, the actions are far from one-sided. Chinese President Xi Jinping during a fiery speech this week proclaimed that his country was ready to battle for any disputed land. “The Chinese people and the Chinese nation have a shared conviction, which is not a single inch of our land will be and can be ceded from China,” he said. Very well stated and true! What is interesting about our F-35 fighter jets is that we are not the first to use them in combat operations as that credit goes to Israel with them recently using them in the Syrian theatre. With plans already under way for developing a Gen-6 fighter jet, the timing is perfect as China has already stolen most of our secrets of the F-22, this aspect just forces companies like Lockheed and Grumman to up their game! It is my belief that any provocation by China will most certainly involve Taiwan just as you point out about Xi Jinping,s statement being unequivocally staunch in not ceding land, is the reason why I think that is indeed the case in which they lay in wait to seize the right moment to do so! Furthermore it is probably another reason why Taiwan has never really in a official capacity declared independence knowing in doing so would elicit a response from China! The US has known this too which is why they mainly handled Taiwan with kid gloves whenever military strategy is implemented in the region. It will be interesting to see how all this plays out as the peices are moved on the chess board while China continues to build up the Spratly island base which continues to be a subject of concern going forward for the countries surrounding them in their continued territorial water disputes. i think both trade deals are finished, (NAFTA and china),we are going to see a freakout from Mexico and Canada. The loopholes multinationals, China and basically the rest of Asia use in NAFTA to exploit shipping to the US without actaully having to invest in the US will close. They are gonna F R E AK OUT. So much Money (trillions) wasted (through outsourcing) because they bet Hillary would win Instead of Trump. Well the Gambled wrong, and they’ll have to deal with the consequences. China is injecting itself into the Philippines, not just its offshore EEZ. The financial part is partly noted in the media. The current fils president is probably more favorable to China than needed in even an obviously weak exposed position, where even the filipinos question his sympathies. From the data I am reading it seem Duerte – who has made absolutely NO secret of his wish to be a dictator – has gone all in with China in order to be made a dictator. He has all but said – literally with a great big grin on his face – that he has done a deal with China whereby they get control of the Philippines territories and, in return, they make sure Duerte gets to rule forever as a puppet king. BTW, I would like this comment but I just cannot get a proper account here and have to sign on via the horrible google. President Trump is a world class negotiator and deal maker. He’s truly in his element right now. He knows it and they know it. Game on! We shouldn’t ever trust the Chinese. The “BOSS” has got this. It just needs to be said over and over “Never trust China.” And traitor Soweto. Amen. I grew up when all Americans called them the ChiComs! They still are, the difference is that America capitulated for decades and gave away out treasure and jobs to the ChiComs. For what? HUGE deficits and the dismantling of America Industry. All this after America save their sorrry asses by defeating their occupiers, Japanese. NO thanks, just belligerence!I I have blamed the WSJ and globalists for the same decades. A shame on so many AMERICANS!!! Steve Forbes – who sold a majority stake in Forbes to the ChiComs – is playing on the establishment team. The woman, whoever she is, presented a rather underwhelming analysis. Their playing up how long it will take to denuclearise the Korean Peninsula as well as have a Peace Treaty signed ending the Korean War is completely wrong and plugged into the old paradigm of slow diplomatic waltzes of a time before President Donald J Trump. President Trump works in Trump Time and will succeed in bringing peace to the Korean Peninsula, solving the Palestinian problem as well as freeing the Iranian people from the tyranny of the mullahs all before the end of his first term. Thank God for President Donald John Trump on your knees every day. Yeah, he’s a slippery devil. Bud…a slight nuance correction…it wasn’t America that gave away treasure and jobs but the play for pay greedy leaders in government AND the US Chamber of Commerce (big business.). Truth be told, the ones that gave American interests away could probably be counted on our digits! Unfortunately we still have a lot of little Alger Hisses running around ‘planning our diplomatic efforts. Very, Very bad negotiators, although that is a misnomer for enablers. Yeah but we got to sell coke and levis in China…well until they stole them and began selling them back to us./s. 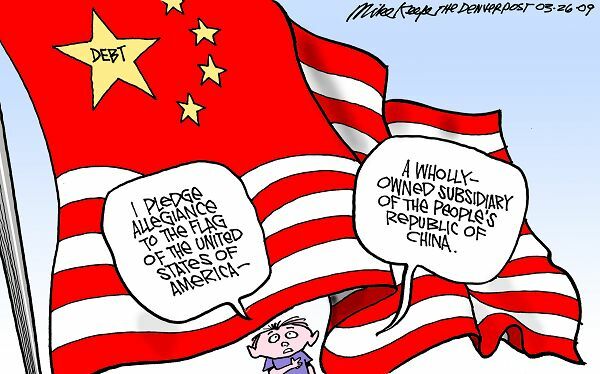 I recall tv newscasters calling the country Red China. And Bejing was Peking. The Chinese only care about what’s good for China..Duh!!! PDJT is simply the best..
President Trump has publicly said that he expects Chairman Xi to look out for Chinas best interest because that’s his job. He then states that, equally, his job is to look out for America’s best interest. So our VSGPDJT has openly demonstrated his keen understanding of the dynamics at play in these negotiations, and he knows Xi will respect his straightforward approach. It puts increasing pressure on Xi to rise up and be seen as straight-dealing as President Trump, and knowing that PDJT is fully aware of Xi’s influence on NK. Yeah, we’re tired of the Bushes, the Clintons and 0 looking out for China’s best interests, too. I wonder is all this was choreographed by Presidents Trump and Xi Jinping at their first meeting those months ago. History will show that China was the #1 enemy of the United States in the 21st Century and was aided by traitorous American presidents. Notice the date on that cartoon is 3/26/09! When you owe them a few million dollars, they own you. This would get the US out of the financial clutch of China, and start the process of disengaging us from the FR. Of course, this would get him assassinated for sure. But Xi knows it is possible. The U.S. has almost single-handedly *created* a strong China over the past 20 + years. No.Way. that China would have become as powerful as it is as quickly as it has without U.S. Politicians MAKING it so. It’s the textbook definition of “creating a monster”. Now, do I think China can change? Yes. But it’s gonna be a long road. Trump Team will start it. Others will have to get on board along the way. And they’ve never stopped hating us for it. Clinton probably overcharged them for the W88s…. That is a very good point and another reason why looking Long term worries me. Knowing how Chinese think, such as planning within 100’s of years as opposed to our 4-8 year terms in office they simply wait until the next elections cycle to see if they can find a weakness to exploit! My point is, in order for this to work long term, we as a nation have to be willing to think and plan like China do by adopting longer term strategies. Which is why whoever wins the whitehouse following Trump is going to be extremely important to safe guard and insure that the next administration doesn’t come in and undo everything that this admin is working so hard to correct! This can not be stated enough in how important this is, and the time is now and not too early to be vetting and discussing who may be possibilities that can be capable of being handed the torch to continue Trumps policies! Sundance, keep up the great deep dive reporting, The Last Refuge/The Conservative Tree House is now being used as a reliable source by many conservative news outlets and conservative bloggers! Thank you Treepers for spreading the word around, your actions are paying dividends for truth seekers, keep it up Treepers! Knowledge is power! WWG1WGA – MAGA – KAG – @17/Anons! I spotted a normally quite conservative website with a lot of readers. The Nork article about Trump pulling out of the NK nuke talks was written by the AP. The article was not too bad for these days. What surprised me was how many libs were commenting like crazy. So, I tried to set the record straight on how this is between Trump and Xi and how it is about trade and not nukes, at the moment. I mentioned how Kim is not a player in this situation. For two different days I sent in two different things I had written and the moderators would not post my messages. I was shocked. The media is a total joke now and people don’t want to know the truth. Meanwhile, I am trying to spread the word as best as possible. I will try again this weekend. I bet it will be a different moderator. Just trying to shine more light, each and every day! There are a couple supposed “conservative” sites that won’t let my comments through. And if anyone here has seen my comments here at CTH you know I am not rude or insulting, at least I try not to be. I may be wrong, but I try to at least be polite. There are many echo chambers, and one of them might be characterized as the “conservative” echo chamber. Remember, the fault line is no longer conservative vs liberal, democrat vs republican. It is globalist vs nationalist. No analysis based upon any other paradigm will yield an accurate assessment of what is taking place and why. As for China, PDJT operates from an American nationalist perspective. Whether XI is a Chinese globalist or nationalist would be an interesting exploration. Myself, I think of China as the ultimate nationalist, sometimes hiding behind a globalist mask, since I don’t see China looking to disappear into multinational trade deals but to participate in them for the sole purpose of manipulating them for the benefit of Chinese national interests. But I could be wrong. Chinese is globalist… as in THEY want to control the ENTIRE WORLD. This is where the Elite mess-up in their blind drive towards world government. The never question JUST WHO will end up being the Top Dog as they try to destroy Europe and the USA. The globalists always think it is THEIR little group that’s going to do the controlling: We have the bankers and international businesses, we have the islamists, we have the chinese, we have the marxists… Round and round it goes and where it stops no body knows. Yes, I tried this over at The Federalist, and got called a financial illiterate, a bigot, and a mercantilist . Too funny, but tragically closed minds. This is the clear eyed view we must adopt in order to find the right path. I don’t get why Fox Business broke the story that will STILL not be reported by any other news outlet. And kudos to Sundance for catching it! At noon every week day, Liz Clayman does the news on Fox Business and really is outstanding. I love the way she ties the news of the day to the financial impact so you don’t have to know the financial jargon to understand if or how it affects your holdings. Sundance, blessings on you for keeping us soooo up to date! We Treepers are the luckiest group of people on earth right now. Without your information, I would be in full-on panic, worrying that Nancy Pelosi has a brain fragment that harbors truth. Am I wrong…isn’t Liz Clayman a rapid anti-Trumper? Very much so! Trish Regan is more pro Trump. If she is anti-Trump, I have never heard that before. I don’t get pro or con from her, but she’s addressing facts, not opinion. Well said. I could do without Gasperino showing up so much on her show but Liz is pretty even handed. Yep…Gasbagarino is a Trump hater. Makes you wonder if “who” actually controls our Media. Does China? Since the MEDIA is anti-russia and anti-american … is MSM secretly run by the chinese. 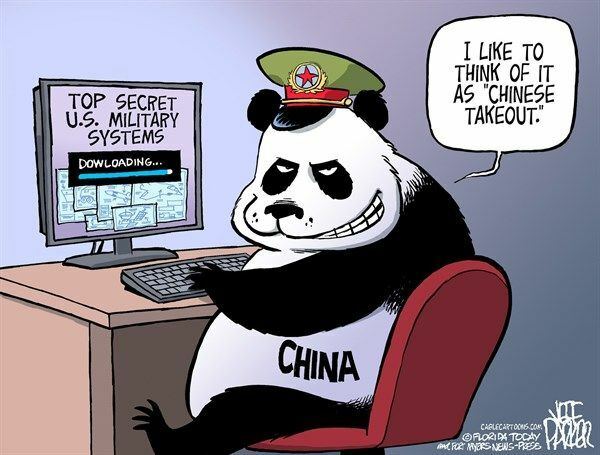 Same goes with our congressmen … are some in the pocket of the chinese through secret “front companies”, maybe they have proxy companies to make it appear like USA run. 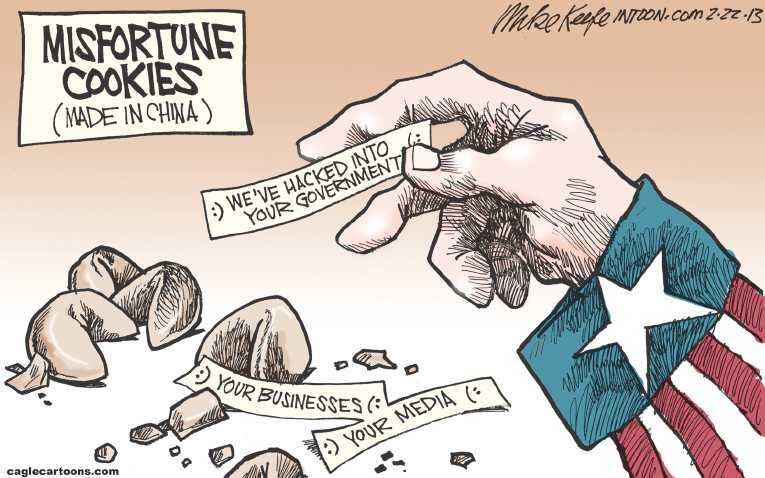 How many people have Chinese goals in mine, or fbi/cia/nsa …. is one branch of the ONE World globalist party … making China Number One power in this century, and USA a 3rd world country. Seems like Obama was turning us into 3rd world country by his actions. China owns Hollywood. That is so disgusting. They apparently own McConnell a well. Remember the Hard Drive down in New Mexico?? Remember all our “west coast” ports, becoming Chinese operated? Remember the Panama Canal?? (how about the “Canal zone”???). Remember those 15 or so SECTIONS of prime farm land over in Idaho? Remember the deal that allowed China to bring in their “own” workers/equip then? Remember the So China Sea & Spratly islands? Might be time for an “overflight” of NORK land….say 5 or 6 B-2’s…with open doors….? 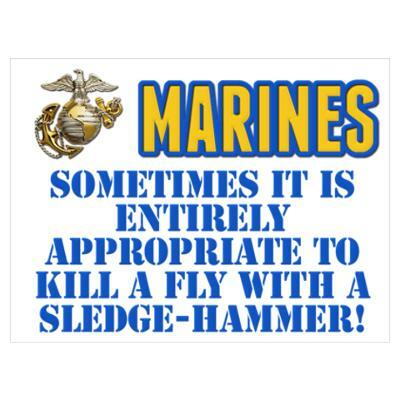 Or, send in a Tomahawk from the sea, fly it around and up and down in his “city”??? Then, just fly it back out to sea and ditch it…or crash it in the 2nd Inf area on the DMZ..
Strangle them financially – don’t mess with them militarily. There is no doubt we will win militarily and there’s probably no doubt millions of people in the Seoul metropolitan area will not. POTUS is looking out for American interests. As was stated so well by a poster above, China will look after China. China has always been the globalist model nation of the “new world order” “players”. Most won’t accept just who those “players” are, that’s how it is. But history will at some point reflect the truth of it all, and in fact as the “cartoons” above show many anti-American presidents were all too happy to participate in the huge growth of China while reducing the ability of Americans to produce, prosper, and gain happiness through prosperity. Spoiler alert, it really is the entities that millions still disbelieve are involved in pure unadulterated and inhumane evil. It’s generally not conspiracy theory, but a fact… unless it comes from a globalist puppet like bush, klinton, or bath house bari. Hence the need for all the “confidential information”. Revelations 13 v16 It also forced all people, great and small, rich and poor, free and slave, to receive a mark on their right hands or on their foreheads, 17 so that they could not buy or sell unless they had the mark, which is the name of the beast or the number of its name. If NK leverage fails, then expect the China to use Taiwan to get more leverage. Actually, this is great news, because it shows how vulnerable the Chinese are to a trade war despite their boasting otherwise. Let them spend their reserves propping up their stock market! It would be interesting if Sundance and his friends could research who actually controls and holds influence on the MSM. Why is it that 96 percent of the MSM is anti Trump and anti-Russian. (The only big country left is China, right? … and MSM seems neutral about China). Trump is the only person that was speaking Pro-America … and America comes first viewpoint … and MSM is anti-Trump. … why do most of these tv stations have the same talking points, and have the same anti-american/anti-russian bias. … the MSM doesn’t seem to come down on China! Trump and our Movement considers China a major opponent to American Interests. And Trump is raising awareness of the “china threat”, but MSM still thinks “Trump and Russia” are the threat. If Trump can ask the CIA/NSA to understand the relationship between China and our MSM , that could prove interesting. Especially if it is exposed! 🙂 And it also defeat the Washington Post, NYT, and other anti-Trump MSM assault on our President. Brussels controls it. They don’t care about China. The US is their big prize. Democrats and Globalists, all the same club. The big club. May the harder it then fall. The same people (some of them foreign) that counterfeit our currency control everything, along with their “international” psychopath partners in crime. Why does every piece of currency on the planet at some point pass through the City of Londanistan banking system? Hmm… don’t mind me, just wondering out loud. No, as end of cold war showed, ECONOMICS is war by other means. Hence, “Trade war”, and VSGDJT recognising and (shudder) actually PROCLAIMING the truth: we’ve BEEN in a Trade War with China, for many years. And, as S.D. has pointed out, China has used N.Korea as a gun to our head, for years, all the while playing the panda face, that they had little influence, and promising to quit currency,manipulation, never delivering. In the land of the willfully blind, self deluded and corrupt, the honest man, with both eyes open, RULES! Exactly. First we determine that we are going to embrace the truth no matter what the cost. Then we are free to see everything as it is. Talk softly, carry big stick. Hes got a HUGE club, our market, and he knows how to use it! …Business ties between Iran and China have been growing since the United States and its European allies at the time started pressuring Iran over its nuclear program around 2007. China remains the largest buyer of Iranian crude, even after Western sanctions were lifted in 2016, allowing Iran to again sell oil in European markets. Chinese state companies are active all over the country, building highways, digging mines and making steel. Tehran’s shops are flooded with Chinese products and its streets clogged with Chinese cars. Iran’s leaders hope that the country’s participation in the plan will enable them to piggyback on China’s large economic ambitions. Panda must’ve extended a lot of credit to the Ayatollahs. Must’ve been sad, watching our Prez shred Nuke Deal billions. a) that corporate string pullers gave the go ahead? b) that the corporate string pullers have acknowledged that Trump is going to defeat the Big Dragon in trade renegotiations? Just one so far, but it is encouraging. Wouldnt get TOO excited; they word headline as a?, not statement of fact, as SD does. (And clickbaits only read headlines, also while SOME focus on Fox business, many ignore. Probably slipped by the corporate censors. north korea is like a dog barking on chinas front porch. if i tell my dog to bark, he barks…if i tell him to shut up, he shuts up. How will China save face? By making a GREAT DEAL for China, and the rest of the world. That was a very nasty move they made – using PEACE between North and South Korea as some kind of political carrot stick as leverage. That was just flat out WRONG and immoral and China knows it. Everything was going incredibly well, and then all the sudden – nothing. Everything good STOPPED after Kim’s second meeting with President Xi. But now things are much better, the waters have calmed down and the June 12th PEACE summit in Singapore is still on. Everyone’s a Winner Baby, and everyone can live free and RICH. Take in consideration that meddlesome BO met with world’s leaders after he stepped down from the White House. BO was grooming them to resist President Trump. That is just a few I could find easily that were public meetings. And then, there is John Kerry, Hillary, etc. which I won’t get into. Who is to know they’ve had secret meetings, as well, to keep bullying other countries to stand with Obama, and to disrupt President Trump’s intentions to create goodwill around the world. The pox on all those Anti-American usurpers. Oh, dear that NYT article wasn’t supposed to open here. Sorry about that. I’m not computer savvy. Grandma the left hand ideas died when our glrious POTUS got elected. No need to remind of our wounds! Duh, now their playing the communist democrats, MSM, and base. Xi has raised his eyebrows because he’s never lost. Fake news will do what’s commanded meanwhile us deplorables (you know the braveheart type), will wait read the IG report. Anyway, while that’s going on, watch the Trump Tag Team Trade War between THE Communist and THE US party (can I coin that?). Personally I view Trump having a Big League pry bar leveraging a gap more than half open right now. Of course Russia best keep silent and NK needs to shut up until it has useful info. To add. Does anyone doubt Trump is the number 1 most amazing patriot ever! I have faith in most voting Americans same as Trump especially those who love Trump! Why wouldn’t President Trump declare North Korea a U.S. PROTECTED ALLY upon “de-weaponization”. Steve Forbes the party of transparency….Friggi in Liberal communist freak!